The Madison Metropolitan Sewerage District in Wisconsin had a problem. Due to tightening state and federal regulations, it had to help decrease the amount of phosphorus in the 540-square-mile (1,400-square-kilometer) Yahara River watershed. It was already removing 95 percent of the phosphorus from its wastewater effluent; new phosphorus level limits would require the equivalent of 96 percent removal. But since the state and federal governments are regulating the final water quality — not one source’s discharge — the district decided to address the problem in another way. Instead of investing those millions in more intensive phosphorus removal, the district decided to go after unregulated sources of phosphorus into the watershed from agriculture and urban and suburban runoff. In 2012, the district spearheaded a partnership among cities, towns, wastewater treatment plants, farmers, environmental groups, the University of Wisconsin–Madison and the Wisconsin Department of Natural Resources. 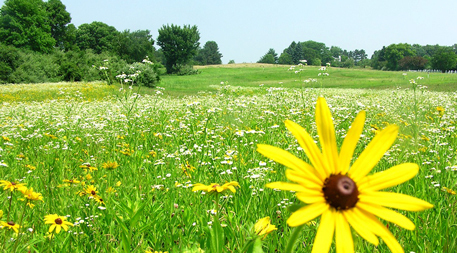 Known as the Yahara Watershed Improvement Network, the partnership’s projects — funded by 24 of the members, grants and other sources — included things like adding grass strips between farm fields and waterways, sprinkling cover crop seeds from airplanes to reduce soil erosion, manure management, and urban leaf collection. During the pilot project, transition year and first two years of the full-scale project they’ve spent just US$7 million and kept about 30,000 pounds (14,000 kilograms) of phosphorus out of the watershed in 2016 alone. The goal is to get to 96,000 pounds (44,000 kilograms) a year by the project’s end in 2036. One Water is “about managing water to achieve multiple benefits.” –Radhika FoxThe Yahara Watershed Improvement Network is an example of a growing movement worldwide — called “One Water” in the United States — to manage water more holistically. It’s a shift from the standard separate management of drinking water, wastewater, stormwater and water for the environment. And it couldn’t come sooner. In a 2017 report, the World Economic Forum listed water crises as one of the top five global risks in terms of “significant negative impact for several countries or industries within the next 10 years.” Too much water, too little water, water that’s not clean enough: all threaten business, and population growth and shifting water patterns due to climate change are exacerbating the problems. One Water is “about managing water to achieve multiple benefits,” says Radhika Fox, CEO of the nonprofit U.S. Water Alliance. The alliance’s One Water Roadmap shows myriad ways people are experimenting with managing water in an integrated way to meet multiple needs simultaneously — such as providing water for ecosystems, flood control, drinking and irrigation. Some utilities are even generating energy from waste. In the U.S. Capitol, DC Water’s Blue Plains Advanced Wastewater Treatment Plant is the largest electricity consumer, using 25 to 30 megawatts of power. 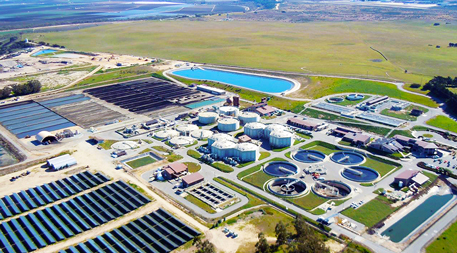 With its resource recovery program now using anaerobic digestion to convert organic matter to methane, it’s generating 10 MW, offsetting its carbon footprint by one-third. New Orleans is starting to plan for climate change, making space for water to enhance flood protection. With more than half of Orleans Parish at or below sea level, the city saw massive floods with hurricanes Katrina and Rita and a big rainstorm in August 2017. And, even as climate change brings stronger storms and higher storm surges, the city is sinking, due to strong pumps that move floodwater out of city. One outcome from post-Katrina recovery is the Greater New Orleans Urban Water Plan, which calls for cross-city expansion of “green infrastructure” to reduce flood risk, halt soil subsidence and beautify communities. One outcome from post-Katrina recovery is the Greater New Orleans Urban Water Plan, which calls for cross-city expansion of “green infrastructure” — conserved or restored natural ecosystems or unpaved areas such as parks and medians — to reduce flood risk, halt soil subsidence and beautify communities. “The goal is for the infrastructure to work with natural systems, rather than try to resist water,” says Jared Genova, planning and strategy manager of resilience and sustainability for the City of New Orleans. The city will break ground this year on the Mirabeau Water Garden project, a 25-acre site in Gentilly, one of the lowest lying neighborhoods. The area flooded during Katrina, and now it’s being designed to “hold more than 10 million gallons of water and take pressure off the drainage system,” said Genova. It will “also be a world class park,” giving disadvantaged people who live in the neighborhood open space for recreation. The low-lying Netherlands, with its centuries of experience in living with abundant water, has been advising New Orleans. One key piece of wisdom, says Genova, is that “keeping water on the surface can actually mitigate subsidence” by ensuring the ground remains saturated. To achieve this, New Orleans is planning blue-green corridors — greenspace with water features — down boulevard medians, adding aesthetic value as well. It’s also eyeing the possibility of paving streets with a permeable material that allows rainwater to soak into the ground. Reducing subsidence will not only reduce flood risk but will also save money on repairs to potholes that appear in asphalt as ground sinks. Meanwhile, some businesses are reducing their water footprint through efficiency measures or recycling water on site. Meanwhile, some businesses are reducing their water footprint through efficiency measures or recycling water on site. Others are working with nearby partners. At Dow Chemical Company’s Freeport, Texas, manufacturing plant, for example, drought is a constant concern. Rather than taking all its water from the local Brazos River, as the plant used to do, it now takes treated wastewater from the city of Lake Jackson, reducing its freshwater demand. Dow expects this water reuse project is to reduce its freshwater use by more than 1.3 billion gallons (4.9 billion liters) per year. Agriculture accounts for about 70 percent of water consumed by people worldwide, and it is an epicenter of water challenges: fertilizer runoff, soil erosion, habitat degradation, droughts and flooding. But with so many challenges comes lots of opportunity to improve practices using the One Water approach, as Wisconsin’s Yahara Watershed Improvement Network is demonstrating. For areas with water shortages, California’s Salinas Valley offers a One Water model. Farmers were using so much groundwater that salt water was intruding into aquifers from the coast. In the mid-1990s, the Monterey Regional Water Pollution Control Agency, now renamed Monterey One Water, began providing farmers with recycled wastewater to irrigate 12,000 acres (4,900 hectares) of food crops, the largest such project in the world. “One Water is not just about efficiency and the life cycle of the drop,” says U.S. Water Alliance’s Fox. “It’s also about equity and other outcomes that we want.” Lower income people are more likely than wealthier individuals to lack access to clean water under current water management structures, and many are at risk from climate change impacts, such as flooding, because they live in low-lying areas. “If whatever infrastructure strategies or planning we’re doing don’t take those things into account, we really haven’t achieved One Water because we’re taking care of some, but we’re not taking care of all,” says Fox. “One Water is not just about efficiency and the life cycle of the drop. … It’s also about equity and other outcomes that we want.” – Radhika FoxNot everyone has equal access to clean, safe, affordable water. One trouble spot is California’s San Joaquin Valley, where the vast agriculture industry has led to farmworker communities whose only source of water — groundwater — has become tainted with nitrate pollution. Up to 250,000 people are at high risk of nitrate exposure in the San Joaquin and Salinas valleys, according to a University of California, Davis study. A nonprofit organization called Community Water Center has been working with local community members for 12 years, training them how to advocate for access to clean water and providing technical advice to local water boards. 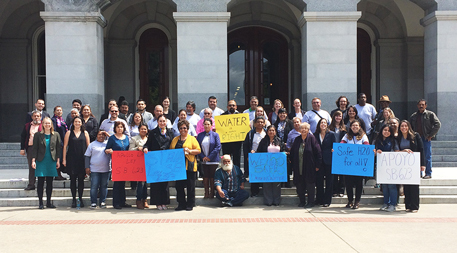 The center has also helped more than 20 people from low-income communities get positions on local and regional water government boards, where they are a voice for their communities and advocate for safe drinking water. Today Tucson and Pima County agencies are thinking about managing stormwater differently, “more as a resource to have available for use as opposed to a nuisance that you try to get off the properties and streets,” says Molina. 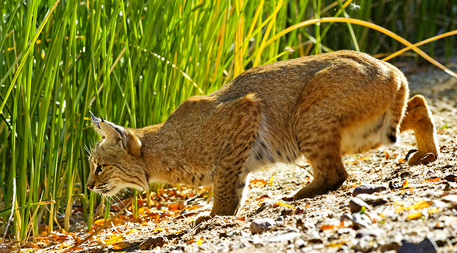 By restoring river ecosystems and permeable ground in urban areas to absorb big rains and recharge aquifers, and by offering incentives for homeowners and industrial customers to install rainwater harvesting systems for reuse on site, they are hoping to increase the area’s resilience to drought and climate change. In northeastern Spain, the Arga River runs through Pamplona. Historically the river has flooded the city roughly every five years, says Gonzalo Delacámara, academic director of the Water Economic Forum. “It will now happen almost every year as a result of climate change,” he says. 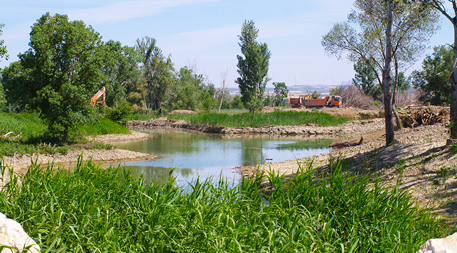 In response, local partners restored 25 kilometers (16 miles) of river habitat along the Arga and nearby Aragón rivers, also reconnecting them with parts of their natural floodplains The project was a success, delivering enhanced flood protection, improved habitat for wildlife and recreation areas for people, but it was hard won, Delacámara says. “The challenge is getting upstream and downstream incentives aligned, and getting buy-in from so many people,” he says. Policy-makers also have less data on the workings of green infrastructure, such as the restored river habitat as flood control, than on traditional engineered concrete solutions such as stormwater holding tanks. So when making decisions, “there is a bias against green infrastructure,” he says. To remedy this problem, some river basin management plans in Europe now require using 20 percent of the project’s funding to monitor river restoration projects. Water infrastructure, pipes and treatment plants are aging; Fox calls today “the dawn of the replacement era.” Where billions of dollars of investment are required, there’s an opportunity to shift the way we manage water. And One Water offers an opportunity to do so. (This article has been taken from Ensia).